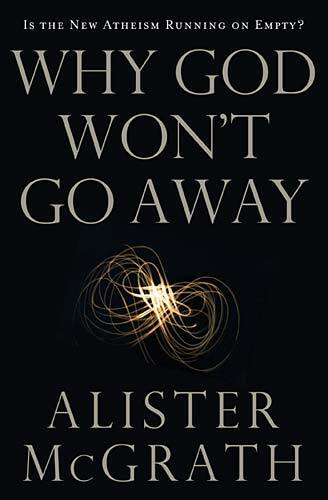 In Why God Won’t Go Away, historian, theologian, and scholar Alister McGrath confronts the New atheism movement. Displaying a broad knowledge of the topic, he shows how the movement started, what the beliefs of New Atheism involve, and where the movement is now. Beginning with an introduction to the “heroes” of New Atheism, McGrath discusses the important works of the men who have been dubbed “The Four Horsemen”: Sam Harris, Richard Dawkins, Daniel Dennett, and Christopher Hitchens. From there we see that New Atheism is more Anti-theism than atheism. Where most atheists simply don’t think about God or religion and are indifferent to it, the New Atheists hold a strong hatred for God, religion, and all believers. Religion should be eradicated and believers are superstitious idiots. McGrath takes us through the movement’s highs and lows and concludes with a few thoughts on the future of the movement. It’s clear that McGrath has more than done his homework on this topic, reading and even debating the works of those mentioned above. As a former atheist himself, he can look at the New Atheist movement from that perspective as well as the Christian perspective. He highlights the problems with the logic of the movement, especially regarding the notion that all religion is the cause of all violence, pointing out that in many arguments, these New Atheists only stick to one side of the story, never pointing out the good that has come from religion or the violence that occurs outside of religion. The most compelling criticism comes from the atheist sector. These “indifferent” Atheists feel that this New Atheism will give all atheists a bad name and believe that these New Atheists are conceited and do not hold to facts. As quoted in the book, one New Atheist wrote about Christians after the Richard Dawkins – John Lennox debate: “I’m beginning to believe the best we can do is to just shout at them, ‘You’re stupid, you’re idiots, you’re morons! !’ It is probably as effective as using reason and logic.” The reason for this response? It was clear to most, including many New Atheists, that Dawkins had lost the debate… and Lennox had used reason and logic to defend Christianity. 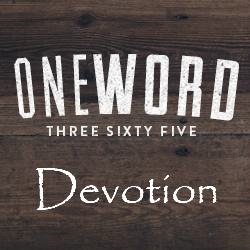 This was book 25 in my 52 Books in 52 Weeks challenge.